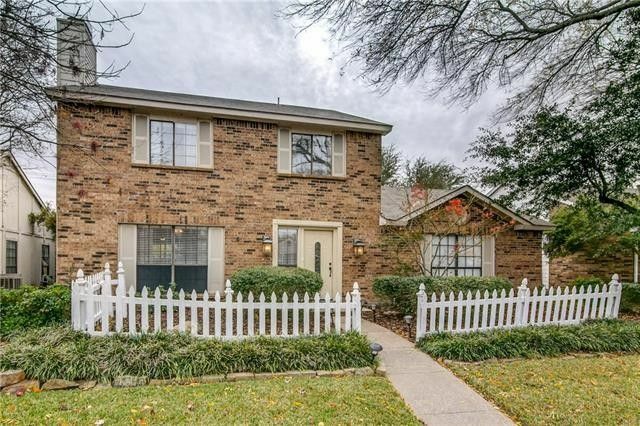 Adorable traditional home in Rowlett has been well cared for and recently updated. Inviting floor plan has all living spaces downstairs and all bedrooms upstairs. Oversized living area includes pretty brick fireplace. Dining room is open to Kitchen and has great views of beautiful backyard and pool. Cute Kitchen has plenty of storage and breakfast bar plus built in window seat. Master suite has walk-in closet and recently re-tiled shower. Secondary bedrooms both have great closet space. Backyard is fully sprinklered and has a super-sized pool and large patio with pergola. Foundation work done by previous owner, warranty is transferrable. Recently replaced roof and water heater.